To no one’s surprise, Broncos’ defensive end Derek Wolfe was placed on injured reserve Tuesday and will miss the rest of the season thanks to a neck injury. 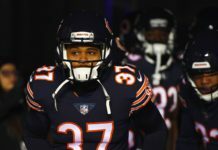 Given the team’s 3-9 record and non-existent playoff chances, there was no reason to whatsoever to further risk Wolfe, who was injured against the Raiders and missed the game against the Dolphins. At only 27 years old and — at the moment, at least — the fifth-highest paid player on the books for next season, Wolfe’s recovery for next fall is of paramount concern, especially since this isn’t his first injury to the neck/spine region. Nevertheless, Wolfe’s absence leaves a gaping hole to fill on the defensive line. Enter Shelby Harris. 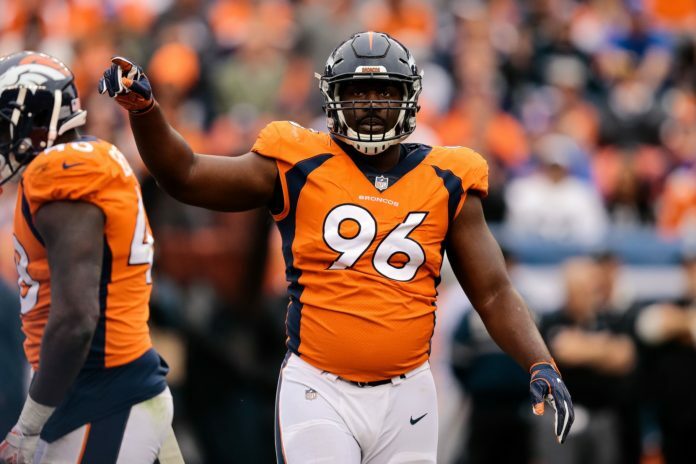 At 26 years old and on his third NFL team already, Harris seems to found a home with the Broncos, and at times has looked like a late-blooming, potential star in the making. Harris has played comparably to Wolfe all season long, and seems to be improving with increased playing time. In fact, in the two most important statistics for defensive ends — tackles and sacks — Harris has actually been the more productive of the two. In 376 defensive snaps on the season, Harris has logged 27 tackles (18 of them solo), 3.5 sacks, two tackles for loss and two passes blocked. For comparison, Wolfe has 31 tackles (18 solo), 2.0 sacks and four tackles for loss in 459 defensive snaps. For good measure, Harris has also blocked a field goal attempt — and it may have Denver the win over the Chargers in the season’s opening game. Clearly Harris has shown that he finally belongs on an NFL roster, and perhaps even as a starter on the mighty Broncos defense. His timing is impeccable: Harris is a restricted free agent after the season ends, thanks to his one-year, $615,000 contract with Denver. Wolfe will make $10.9 million in 2018. 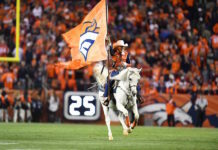 The Broncos will no doubt want Harris back — his talent and relentless drive make him desirable, let alone his production and relative youth — and they can absolutely do so, given his restricted status. But if Harris finishes the season as the starter and produces like he has been all season? 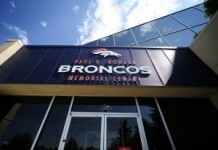 Don’t be surprised if it costs the Broncos a pretty penny to keep Harris around. Even diamonds in the rough aren’t cheap.